It’s going to be an action-packed December for the UFC. As we await the comeback of former pound-for-pound king, Jon Jones, we’ve still got two action-packed cards to enjoy before his December 29 return. That includes this weekend’s UFC 231 where we’ll have a pair of co-main events. This week’s episode of The Fighter’s Take podcast, hosted by “Hollywood” Joe Tussing, goes through the headlining events between Max Holloway and Brian Ortega, Joanna Jędrzejczyk and Valentina Shevchenko and the rest of the main card to give you some previews and picks. The 40-minute episode is full of breakdowns of the betting odds and predictions for the entire night. This week, Tussing is joined by Marco Simmons, a pro MMA fighter, who has been training with Shevchenko over her last couple of camps. That’s going to be a key to this fight as Shevchenko figures to have an edge in strength. Remember that Jędrzejczyk is moving up to 125 pounds (from around 115 pounds), which should mean Shevchenko has an advantage here as she’s naturally at that weight. Both women have been impressive in their UFC careers, absent of one thorn in each fighter’s side. Shevchenko is a robust 15-1 in her MMA career when you don’t include her two losses to Amanda Nunes, her only two MMA losses in the last seven years. As for Jędrzejczyk, she’s 15-0 if you don’t count her two losses to Rose Namajunas, the UFC’s Strawweight champion. Shevchenko is currently the -345 favorite for this fight, while Jędrzejczyk clocks in at +275. 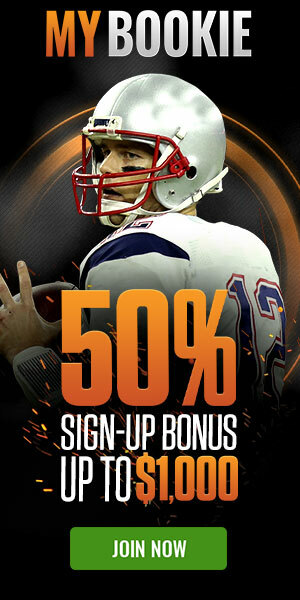 You can bet on the fight at MyBookie.ag, where they give you a 50% signup bonus. The main event of the evening is a clash between Holloway and Ortega, and it should produce some fireworks. Holloway, the UFC Featherweight champ, will take on Ortega, who is undefeated in his 14 MMA fights. That’s part of why this fight is listed as a pick ’em with both fighters posted at -110. Holloway has been quite impressive, though. He’s lost just three times in his MMA career, one of which was his UFC debut. He lost a narrow split decision to Denis Bermudez and also gave Conor McGregor all he could handle back in 2013. He hasn’t lost since then and enters on an 11-fight winning streak. To hear the full breakdown of the card, as well as betting picks for every UFC 231 main event, tune into the The Fighter’s Take podcast with “Hollywood” Joe Tussing. It’s going to be an action-packed December for the UFC. As we all await the comeback of former pound-for-pound king Jon Jones, we’ve still got two action-packed cards to enjoy before his December 29th return. That includes this weekend’s UFC 231 where we’ll have a pair of co-main events.